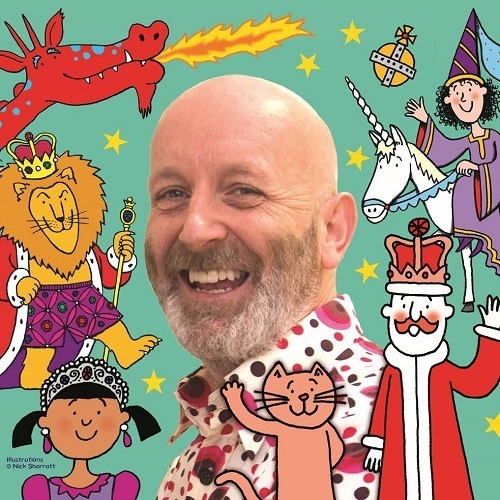 Join acclaimed children’s writer and illustrator, Nick Sharratt and draw along with him! He&apos;ll be showing you how to sketch favourite characters like Tracy Beaker and Timothy Pope, sharing ways of creating fantastic creatures like dragons and unicorns, and giving loads of top tips. And to celebrate his latest book Nice Work for the Cat and the King everything will have a special &apos;royal&apos; twist! Nick has illustrated close to 260 books. He’s worked with authors including Julia Donaldson, Michael Rosen and Kes Gray, and his books include You Choose, Shark in the Park and Pants. He&apos;s also the illustrator of Dame Jacqueline Wilson’s phenomenally popular children&apos;s novels. He&apos;s been awarded a gold Blue Peter badge too! Approx 75 mins, no interval.